Just a few people trying to make an impact. We all have a story- some of us have personal connections to Parkinson’s, others are here to support furthering research, and the rest just love them some Marty McFly. The Nashville Team Fox YP group is new and looking for members to help with fundraising, finance, social events, and more. Interested? Click here to submit your information. 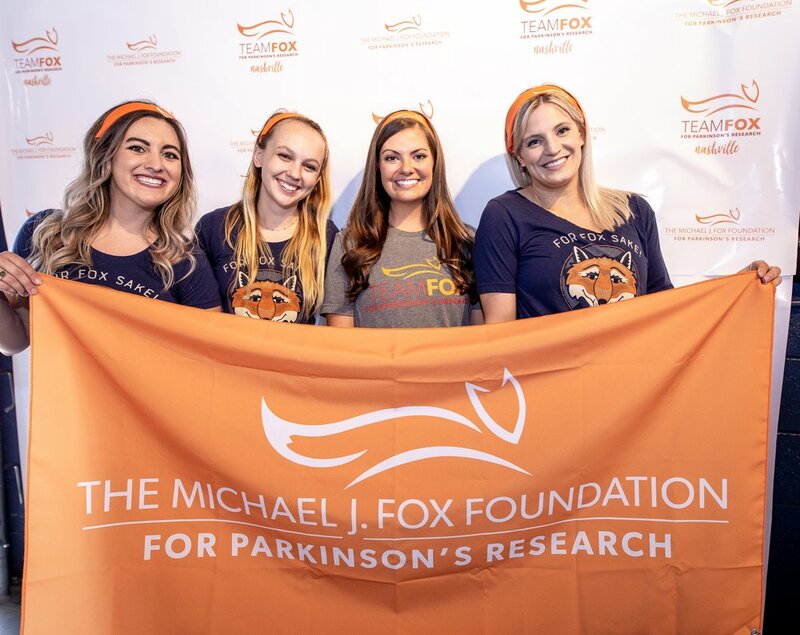 To serve Nashville as long term ambassadors for MJFF and Team Fox—the Foundation’s grassroots fundraising program—by working to engage the local community in raising funds and awareness for Parkinson’s research. The Team Fox Young Professionals program was established in 2010 as a way for proactive individuals in their 20’s and 30’s to collectively donate their time, talents and interests towards supporting the mission of The Michael J. Fox Foundation for Parkinson’s Research (MJFF). There are pockets of Team Fox YP's all over the nation including New York, Chicago, Boston, D.C., Toronto, New Orleans, San Francisco, Los Angeles, and now Nashville. Keep an eye out for future events by following Team Fox Nashville on our social media channels. We look forward to seeing you! Team Fox Nashville is looking for new members to join the Young Professionals. Interested in being a board member or attending local events? Let's get in touch. © 2017 | Team Fox Nashville. All Rights Reserved.